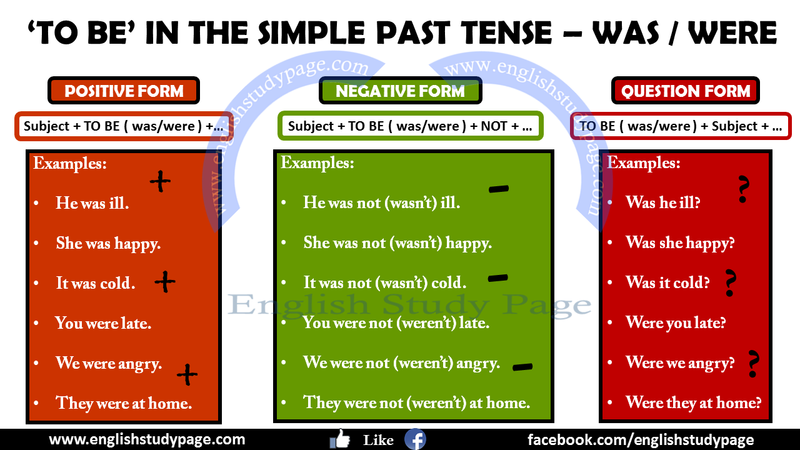 The verb ‘to be ( am, is, are )’ has two forms in the past; was and were. Yes, he was. No, he wasn’t. Yes, she was. No, she wasn’t. Yes, it was. No, it wasn’t. Yes, I was. No, I wasn’t. Yes, you were. No, you weren’t. Yes, we were. No, we weren’t. Yes, they were. No, they weren’t. The bus was so crowded. I had to get off the bus early. The movie wasn’t exciting. Everybody was bored. You weren’t late. Actually you came 5 minutes early. My father was not sure exactly what the car’s problem was. We were good at basketball. We won all the matches last year. I wasn’t in Egypt yesterday. Susan was quite shy when she was a child. Was not she the girl we had seen before in London? The child was so hungry. I was a primary school students last year. They weren’t at home last week. 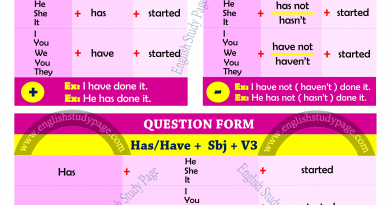 Do not forget to pay attention to use of some subject pronouns ( such as I, You ) while answering questions. Examples:A: Was I sleepy yesterday? B: No, you weren’t. / Yes, you were. B: No, you weren’t sleepy yesterday. / Yes, you were sleepy yesterday. A: Were you at home last Sunday? B: No, I wasn’t or No, we weren’t. / Yes, I was or Yes, we were. B: No, I wasn’t at home last Sunday or No, we weren’t at home last Sunday. B: Yes, I was at home last Sunday or Yes, we were at home last Sunday. We can also use a question word (Who, What, Why etc.) in past tense. 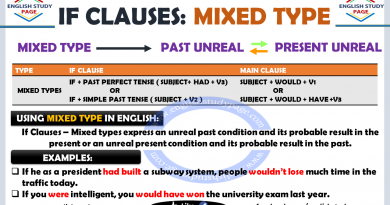 Explanations on usage and examples of Simple Past tense . 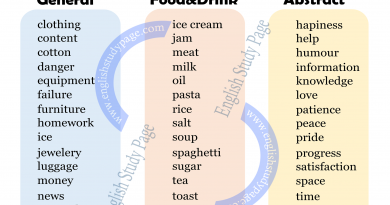 Improve your understanding and use English tenses more naturally!